​Oops just realised we have been very quiet.....the end of the season was very busy with some great results. We had a play with the stats and over 50% of starts resulted in top 10 placings which for a team of fairly green horses was a nice result. We have also been very busy showjumping with Delilah qualifying for winter champs and 2nd rounds already and most outings resulting in a profit. The lovely Duffy has gone north to a new home and we look forward to seeing her have a very successful season. On the coaching front last year saw investment in my coaching. I am part of the Applied Psychology for Equine Coaches course which has been a great journey so far and given lots of ideas and support. Among other courses I also attended a course on Riders Physio for Coaches with Andy Thomas and if you look at our what’s on page you will see he’s running some rider days with us. I have also been accepted to do my UKCC level 3 with British Eventing. We are running a variety of clinic and training days this year both mounted and unmounted so keep an eye on the website What’s on as well as social media. We do have room for a couple more so if you know anyone looking for a small, personal and professional yard who prioritises the horses journey and happy progression through the grades then please get in touch. We can provide excellent references and are happy to discuss your requirements. We also have very good contacts to source quality young horses. Now is also an excellent time to join our eventing club and take advantage of the discounts and offers available as well as being part of the team. Wishing everyone a very successful 2019. Well I’ve been a bit quite lately but the yard hasn’t been. At the end of June Pimms had her second run at Intermediate level at Farley. It’s the first time we have been to Farley and we were pretty impressed. She did a nice dressage with a silly mistake towards the end of the test scoring 32.1 and jumped a cracking show jumping round on a course that was causing plenty of rails to fly but sadly rubbed out the last part of the treble (as did a lot of combinations). The course didn’t walked the biggest but it got fairly intense from half way round and again seemed to cause enough trouble. She was classy and although occasionally giving a fence a little too much height when a bit green that’s not a bad fault to have! She added a few time faults to finish 15th. The beginning of July started well with plenty of show jumping, the ponies all on great form and I do enjoy it even more when all the ponies decide we are coming home in profit. We had planned a quiet time eventing with several close runs through the end of July /August and with the ground as it was we were feeling very happy that we were doing plenty of show jumping on a surface, careful schooling, dressage and not rooting too much. So off we went to Upton BE with 1 proven Intermediate and 2 first timers & a nice early start. Pimms was first in and honestly we were really disappointed with her dressage mark, it was by far the nicest Intermediate test she’s done so we weren’t really expecting a 34. Cricket was feeling very well and thought moving up a level that freestyle sounded more fun but settled back down to finish his test nicely. Again both show jumped really well and both seemed unlucky to have a rail. The cross-country was always a nice first timers course which is why Cricket had waited till now and Katy was coming for her first intermediate run but I think it’s fair to say they had beefed it up a bit not necessarily in size but plenty of repetitive turning questions. Pimms was on great form. She’d grown up so much from Farley, focused, up on time and foot perfect through the combinations. Then came the water...can’t really tell you a huge amount about it but I gather she overjumped the log into the water, landed steeply and pecked...for some stupid reason I got pitched forward (something I’m not proud of) and clung on for dear life trying not to fall off. We were only 3 from home, finishing inside the time we would have been 3rd and with 10 time would have still been in the top 10! Anyway gravity got the better of me and I managed to land badly giving myself concussion (& a 21 day ban) and rip a couple of holes in my quad muscle twisting my leg on the way down. Fortunately as she didn’t fall and Pimms was fine it was clear but an unseated rider! Sadly that was the end of Crickets day too. Katy and Bruno were following me round so poor Katy had to canter past me on my feet and jump the last 2 fences before finding out what had happened. She had a great cross-country round with a slight loss of steering in one combination but otherwise good solid performance. So home we go and my leg is swelling like a good one. Katy and the girls have been fantastic at taking over the reins and keeping all the ponies working and in tip top condition. Katy has also taken over the ride on my own lovely 6yo Delilah who was scheduled to have her first run at Lt Downham. This was a good successful first run with a rail show jumping where she saw something in the distance and closed down over a fence but a fantastic clear Xc. Katy will pilot her at Aston for me but we have already moved her up to 100for her next run. Sam has taken over the ride on Duffy for me. We dropped her down to the 100 at Lt Downham and again they had a good solid performance with a double clear (both Katy and Sam ended up in open sections and had they been in the straight sections I think both would have come home in the ribbons). Sam has also had Duffy out show jumping winning the Newcomers at Aston last week. 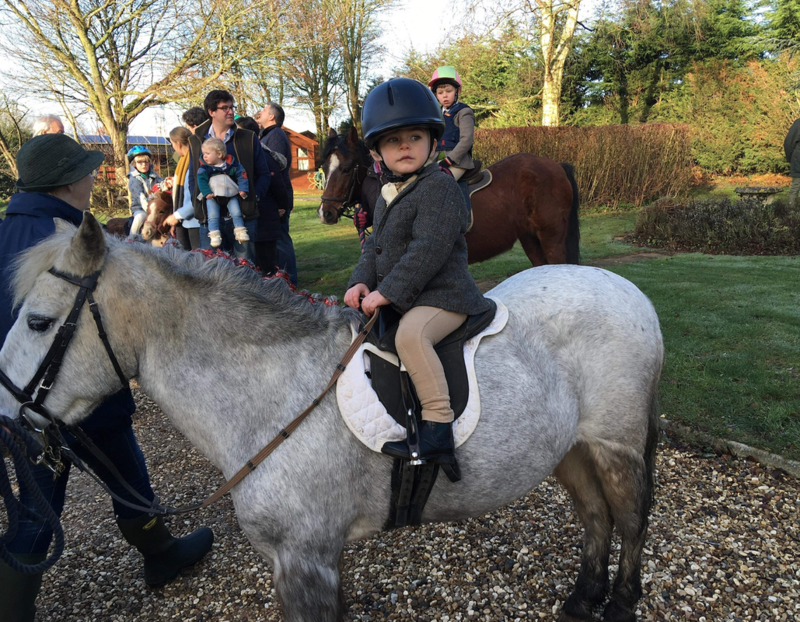 Katy has been busy schooling the youngsters and selling ponies out and about ready for some debuts next month. Sadly with me being out of action Crickets owner decided to move him to another yard, he will be much missed. On the positive side the leg is finally starting to heal so I’m hoping that taped up I might be back to light duties mid August and am now planning a very busy September campaign. Katy had a great spin around the CIC* with a lovely clear cross-country at Rockingham, while Duffy scored a 30 dressage and a great double clear to finish 6th in the BE100. Next was Tweseldown and both of the girls (Pimms & Cute) were in the Intermediate Novice. Least said about the dressage the better, it was a very high scoring judge with a lot of competitors in the 40’s and reading the sheets after you slightly wondered who the judge was watching! Cute jumped a lovely clear show jumping and Pimms uncharacteristically had a rail. However, Cute wasn’t happy coming out of the start box and we pulled up by fence 4. With her not feeling 100% we had her fully checked out by our veterinary team and are now aware that she has a fractured tooth which would explain her not being 100%. She subsequently had some time out and has been to a specialist and after treatment she is now back in full work. Pimms jumped around the strong Novice track well, although she seemed convinced there were monsters in the bracken as she was busy spooking between fences! Little Downham was fantastic and I couldn't have been more pleased with Pimms. Her first Intermediate and she was pure class. A nice dressage and great clear show jumping was followed by a confident round cross-country making it feel easy. Sadly she was let down by the jockey coming out of the second water putting an unnecessary 20 penalties on her record. Once I got over being very cross with myself I was able to appreciate what a smart pony she really is. Also moving up a level, Duffy jumped round her first Novice. The dressage was nice, she had her first ever affiliated rail show jumping (but not a bad thing for her to not get a grown up point yet as she’s on the market) and jumped a lovely steady clear cross country. The new boy Cricket also jumped a great double clear and gave me a lovely feel. His dressage was work in progress but happy we are going in the right direction and he only just missed out on a place. 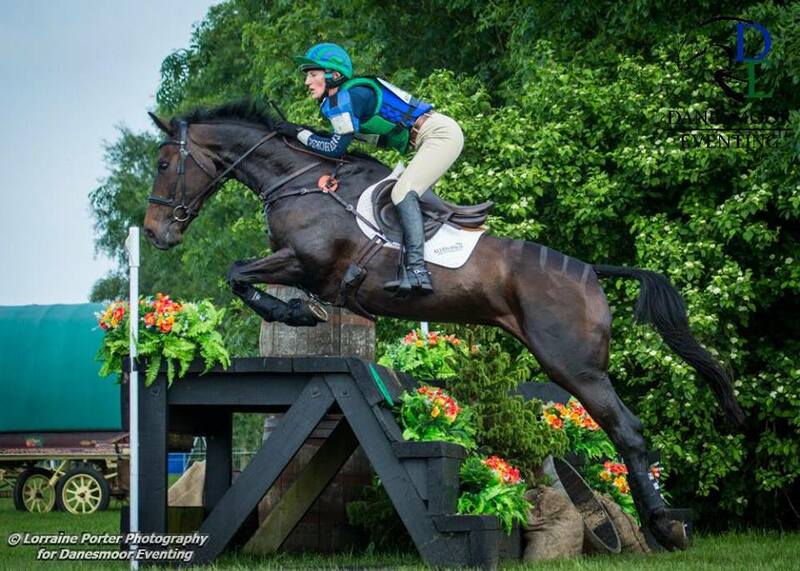 I also picked up the ride on Emma Pitt’s Holly in the BE100, who added nothing to her 27 dressage to finish 3rd. We had four horses at Stratford Hills last weekend, with some very good results from Pimms and Cricket. Pimms pulled off a fabulous double clear to come 3rd in the Novice Regional Final and Cricket jumped a double clear with an improving dressage to come 4th in his Novice section, which made up for a slightly disappointing morning with the ponies in the BE100. In between the eventing we ran a very successful talk with Jin Langstone on Getting the Balance Right - Asymmetry and Rehab training. This was a sell out and we will be running future talks together, watch the Events/Clinics Page for further details. As well as regular teaching at home I’ve been heading home to Firs Farm, Caxton running successful BE clinics on a monthly basis. There are quite a few youngsters who haven’t been introduced yet. They have all been on the lorry regularly to small jumping shows and cross-country schooling. We'll be making some formal introductions very soon. I’m continually updating and developing my coaching skills and am very excited to have been accepted onto the Charlie Unwin Applied Psychology for Equestrian Coaches Course. This is a topic I’m really interested in developing and I look forward to it starting in October. With the weather not quite sure what it wants to do and many events being cancelled due to the very wet conditions, it hasn't stopped us and we have had some very fantastic results at Danesmoor Eventing! The beginning of April brought British Show Jumping to Aston. Duffy, Pimms and Cute had a day out and excelled themselves even though it was a very wet day. Duffy had a 1st in the BN and 2nd in the Discovery, Pimms came 2nd in the 1.05 to Cute who took 1st in that class as well as taking 1st in the Newcomers. Katy and Bruno also went double clear in the Newcomers but were on a ticket. Only a couple of days later and we were back at Aston, but this time for the eventers to have a play. Duffy started the day with a dressage of 29, and finished in 5th in the 90 after an educational double clear. Pimms jumped a steady double clear in the Novice to finish 10th. Both horses really benefited from a run and the format of starting the cross country on the surface and then going out onto the grass really seemed to allow the young horses to grow in confidence. A happy jockey once again! HorseHeath was a new event for us and our first completed BE of the season. The event was very friendly, with a fabulous course and layout. Duffy did a nice test for a slightly disappointing 35 dressage, but jumped a good steady double clear. It was back to Aston in early May for Pimms and Duffy. Two lovely double clears for both horses, who finished on their dressage scores meaning that Pimms finished in 2nd place in the Novice and Duffy took home 9th in the 100. It started to feel that the eventing seasons was underway. Another successful trip to Aston for the middle of May. Duffy did a fantastic job to win the Discovery, putting the new horse, Cricket, into 2nd. Cute won the 1.05 and the Newcomers, and Duffy also jumped a great double clear in the Newcomers. Pimms was very fresh in the Foxhunter and just caught a rail behind. We now look forward to Rockingham, Tweseldown and Little Downham in the hope for more lovely double clears and dry weather. I had a lovely surprise of being on the front cover of Absolute Horse Magazine, with a double page article of Chuckles, Kenny and I inside, which was a better surprise than the snow that we received in Banbury. The beast from the East tried its best to prevent us from schooling and keeping the horses fit, but we battled the snow and managed to keep all the horses worked. Having an indoor school was fantastic, even if it did have a touch of sugar icing! It was real team work to keep the yard going, but everyone helped out and the farm boys even managed to keep the gallops open! We are very fortunate to have such a great team at Danesmoor Eventing. A good start to the 2018 season for the team at Danesmoor Eventing. Chalice did a nice dressage and show jumping, but due to Cute’s section running in the gloom, we decided to save this lovely mare for another day. Sam Cutts however, did exceptionally well winning her first outing of the season on her homebred Holly in the Intermediate at Poplar. This tunes her up nicely to head Burnham Market 3*. As the 2018 season takes its wings, all the horses are in work and excited for their outings soon. With lots of clinics and talks coming up soon as well, we are nice and busy and can't wait to see what this year brings.